for inquiries about becoming an FOA school or any procedural issues. 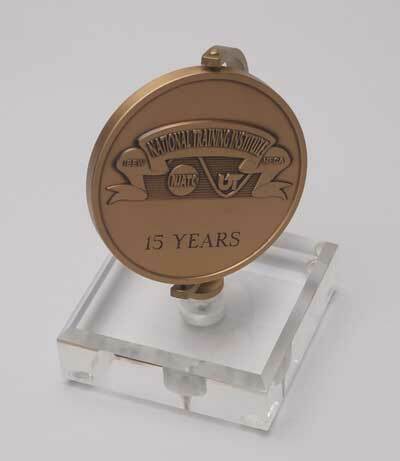 FOA has been at NTI since 1996 offering instructor training and seminars. We support many locals in their apprenticeship and journeyman training programs. The FOA (The Fiber Optic Association, Inc.) is the "international non-profit professional society of fiber optics," a non-profit educational organization that has certified over 72,000 fiber optic technicians in over 40 countries. FOA CFOT certification is recognized worldwide and offered to all students by over 200 schools including about 30+ JATCs, training organizations and fiber optic manufacturers in the US, Canada and in more than 40 countries overseas, plus is used by organizations like IMSA - the traffic signal people, Corning, and many government and military groups. FOA offers free curriculum materials to schools, low cost textbooks, free online resources and inexpensive certifications as part of its programs to promote education and use of fiber optics and communications cabling worldwide. The eTA fiber optic textbook is a special version of the FOA textbook used by permission from FOA. 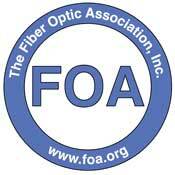 The FOA is not just fiber either. As premises cabling expands to encompass new applications over fiber, copper and wireless links, the FOA has produced new materials that cover the topics in a thorough, unbiased fashion. See CPCT. The NJATC apprenticeship training program is now FOA approved and you can offer FOA certification to your apprentices and journeymen. You can become a FOA certified fiber optic instructor through the cooperation of the NJATC NTI and FOA. The NJATC Apprenticeship Program will be listed on the FOA website as an approved school. Check out the resources in the column to the left.